You love your children so deeply and want to see them thrive in all areas of life—from being happy to being successful in school. As parents we can get so caught up in how these manifest on the surface that we forget they are built on very basic, but critically important needs. The most fundamental of these needs is the child’s feeling of being worthy and feeling secure. 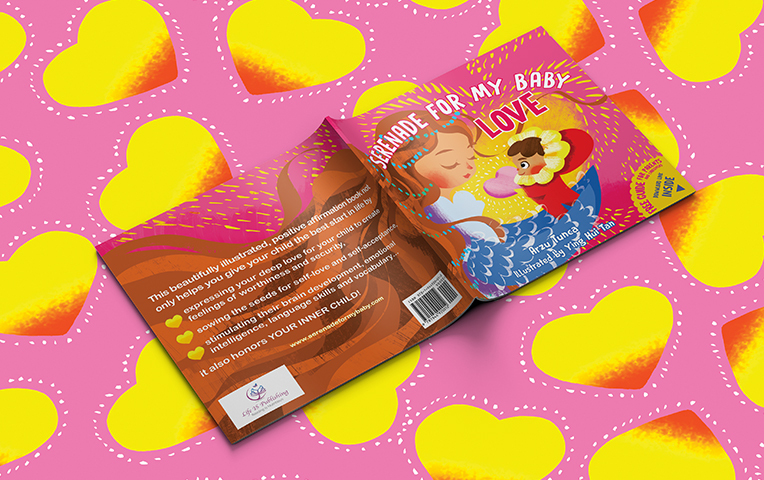 With affirmation poems and gorgeous illustrations, Serenade for My Baby: Love is the perfect supportive tool for parents and caregivers to meet these needs. The book fosters the close, special relationships each young child needs to thrive, while joyfully encouraging their thinking and language skills. 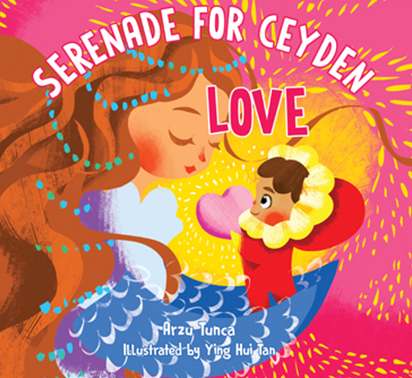 Reading Serenade for My Baby: Love, is also designed so you can more deeply love and accept your own inner child and to convey this to them. Your inner child needs to hear these loving affirmations of worthiness, acceptance, and unconditional love. Doing so strengthens you, and in turn, your own children. When you are healthy emotionally, this greatly supports your ability to parent your child in constructive, positive ways—in other words, with love. 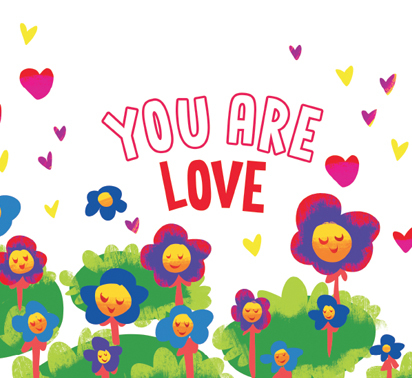 Reading these positive affirmation poems with their appealing, colorful illustrations is a delightful experience for parent and baby, toddler, and preschooler. 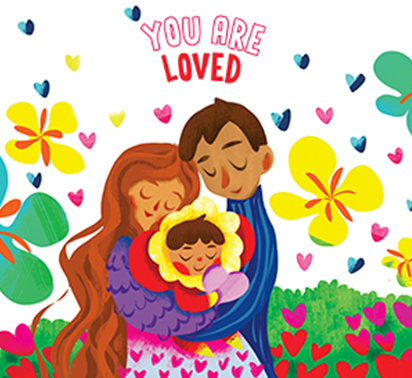 Enjoy this special reading time with your child as you communicate your love and hopes for them and strengthen your own self-acceptance through these beautifully crafted and touching poems. Serenade for My Baby: Love helps meet young children’s need for bonding and attachment. These are critical for their emotional development and well-being. Babies are born with the ‘tools’ for love in their brains, but need experiences of love for optimal outcomes. You reading Serenade for My Baby: Love gives them just such an experience. Helping your young child feel loved through reading the book supports the sense of security they need for the mental and emotional confidence to explore and learn about their world. 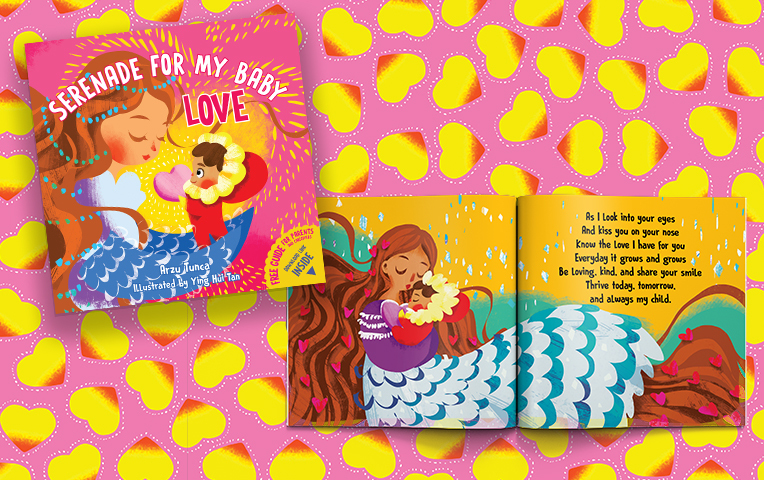 Having the words to express love that are in the book helps you support your child’s emotional development and gives them the vocabulary to put their own feelings of love into words as they grow older. Serenade for My Baby: Love helps you heal and love your own inner child, so you come back to your core self. When you allow yourself to hear and accept the affirmations in the book about love, you become more able to accept and love your child. This chapter defines what love is in a beautiful, relatable way. That it is universal and is for everyone. That it is a gift that brightens and illuminates life. 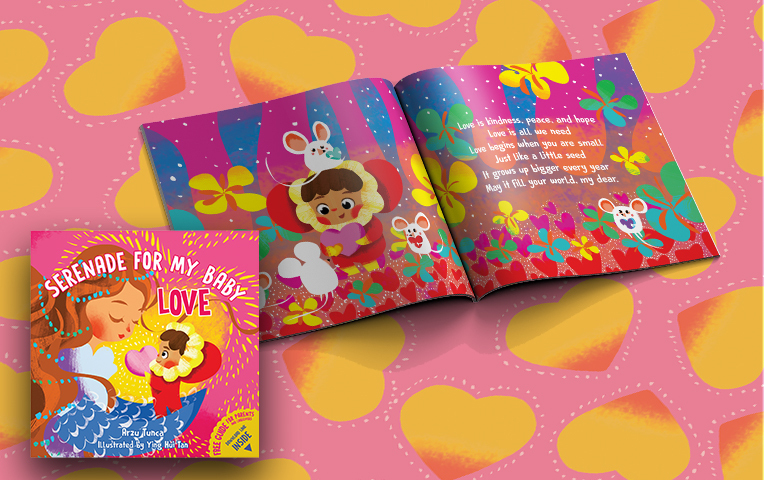 This chapter conveys to children that love allows them to be happy, to be healthy, and to be safe. It does so because love is made up of many things like kindness, peace, and hope. Children hear and feel that love is abundant. Serenade for My Baby: Love gives you a helping hand in bringing the most positive experiences to your little one as their brains do the incredibly complex work of growing and making connections to understand their new world. This chapter sends the message to children that they themselves are a source of love because they are special and treasured. 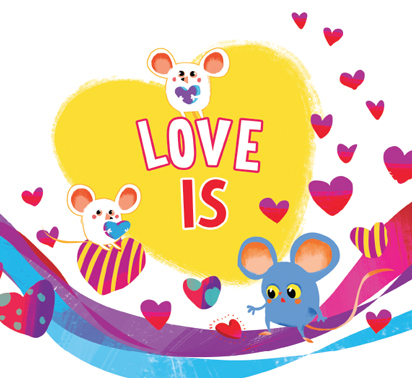 The analogy that love grows just as they do helps children personally connect to what love means. They learn that love is everywhere around them and in them. They hear that love will not desert them, even when things seem dark and they feel down. 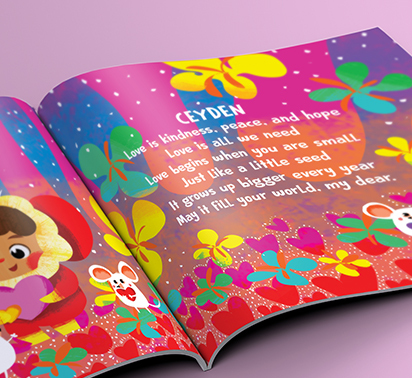 This chapter shows children just how many ways they are loved and how deep that love runs. That it is big, sweeping and bountiful. Children hear that their smile, their actions, their very being elicits love. The message that they are a blessing and a cherished gift ring through to them in this chapter. They see just how much they have made their parent’s and caregiver’s life special and extraordinary. To help your child know just how special she or he is, we personalize the cover of the book with your child’s name. 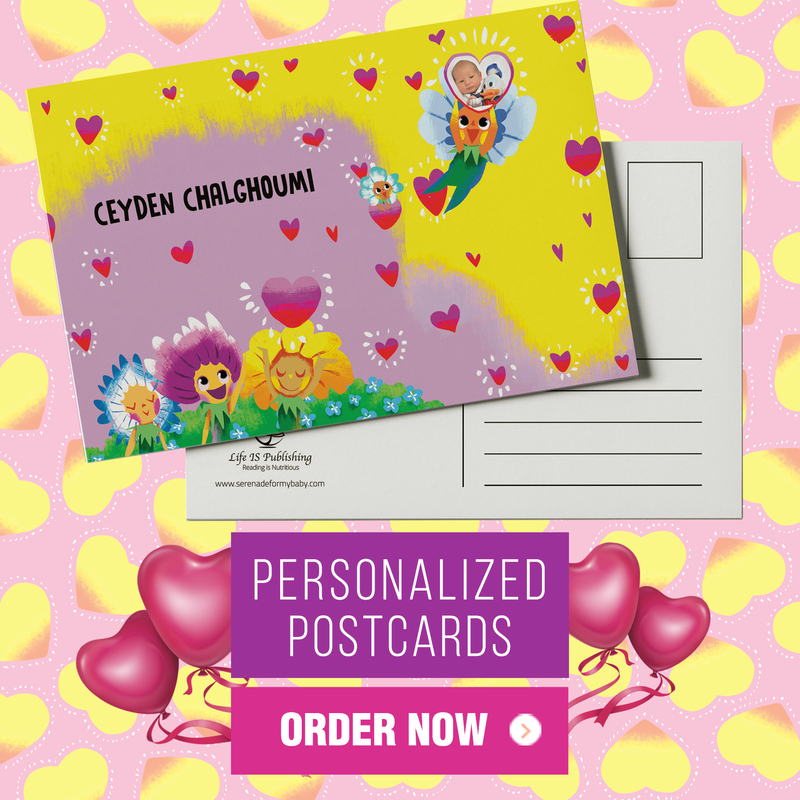 This is the page where a message can be personalized, along with including your child’s photo and name. Imagine what a special memory this will become over the years. This allows you a unique opportunity to show your child how much you love and cherish him or her. It also conveys to children how important and powerful books are, which is central to a love of reading and learning. If you are a relative or friend, this makes a perfect gift for parents and children. 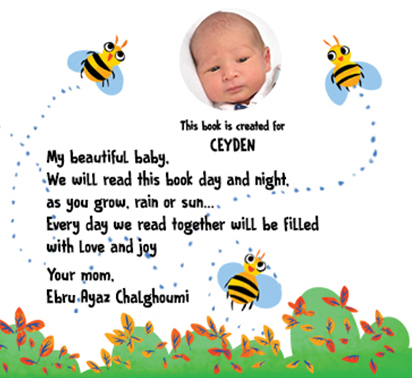 The poems integrate the child’s name and photo throughout the book. Using their image and name builds their sense of self—that they are in the world, are unique, and they matter. Hearing their name and seeing their photo in relation to the affirmations helps them relate much more directly with what the poems are sharing and promising. And did you know that babies and toddlers learn language through their names? When they hear their name it is a way to bring attention to the language around it. Further, it is an influential way to showcase the connection of the spoken word to print. This sets the stage for successful reading and literacy. All of this is a win-win!